Dr. Saad Salahuddin attended Baqai Dental School, University of Karachi , Pakistan and met his wife, Reem, who is an Orthodontist. They moved to the United Kingdom for 5 years where he completed the Oral & Maxillofacial Surgery Residency and then Fellowship from the Royal College of Surgeons of England, in Oral Medicine and Oral Surgery. He then moved to California in 2003 and undertook the D.D.S. program with advance standing at the Arthur A Dugoni, School of Dentistry, University of the Pacific, San Francisco. He had been in private practice in the Financial District of San Francisco since 2005 at Embarcadero Dentistry and was featured in The “San Francisco” magazine as one of the “Top 10” Health care providers in San Francsico Bay Area. Dr Salahuddin has taught Local Anesthesia to Dental and Medical Residents in England and received and award at an International Dental Conference for presenting on “ Oral Submucus Fibrosis” a Precancerous Oral condition. He has been trained in Dental Implants from one of the Country’s top Implant Institute In Florida, PIKOS Implant Institute, Tampa Florida. He is also trained in LASERs, Hospital Dentistry, Bone Grafting and Oro Facial Trauma. He moved to The Woodlands in April 2009 and while establishing “Dentistry & Orthodontics” has been involved in community service by providing dental care to the Harris County Hospital District. He plays competitive squash and cricket and enjoys music, traveling, and playing tennis with his family. 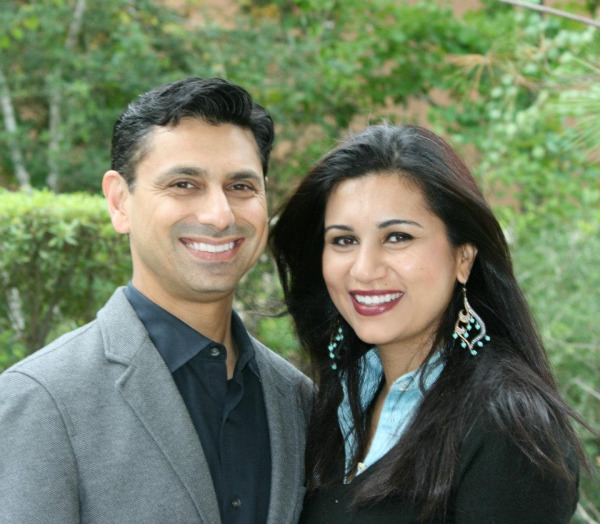 Dr. Reem Salahuddin moved from San Francisco to The Woodlands in April 2009. Dr. Salahuddin attended the Baqai Dental College at the University of Karachi, Pakistan where she earned her dental degree as a Valedictorian. She was awarded three gold medals including "Graduate of the Year" and honors in all subjects. She then worked as an Associate dentist in Pakistan before completing her primary F.D.S.R.C.S. fellowship in Basic Medical Sciences at the Royal College of Surgeons in London, England in 1998. Dr. Salahuddin appeared as a guest on a Medical Talk show on an international TV channel where she talked about raising public awareness of preventive measures for problems leading to malocclusion. She also had the opportunity to talk about cleft lip and palate prevention and treatment. In 2007, as part of a team of doctors, Dr. Salahuddin participated as the Orthodontist in the Rotaplast Medical Misión trip to El Salvador, assisting in surgeries and making appliances for almost 200 children with developmental abnormalities, primarily cleft lip and palate anomalies. She received her Masters Specialty degree in Orthodontics in September 2008. Among her numerous academic and professional achievements is the prestigious “Sheldon Baumrind Excellence in Research Award” that was presented to her for her Masters thesis presentation on 'TGFB3 polymorphism associated with non-syndromic cleft lip and palate (NSCL/P)'. She has presented at National and International Dental Conferences. Dr. Salahuddin keeps herself informed of the latest developments in the dental profession and is a member of various organizations including the American Dental Association, American Association of Orthodontics and California Dental Association & Rotaplast. In her free time, she enjoys painting, calligraphy, cooking and spending time with her kids. Her husband, Saad, a General Dentist is her partner at this practice.